As you can tell I am dreaming of warmer weather and a beach with an adult beverage or a blueberry banana smoothie! What kind of breakfast do you have in the morning? Do you have a full 3 course meal complete with bacon, eggs, sausage and toast? Or, Maybe a quick drink or burrito to go? I for one am a person who cannot live without breakfast, so most of the time I have the works. A breakfast burrito complete with avocado, hot sauce and CHEESE! However, sometimes I am a big oatmeal fan. However, lately I have been a fan of smoothies, and I am not talking about a little milk with some fruit. I am talking a smoothie on steroids complete with fruits, sugar and just about any milk you want. 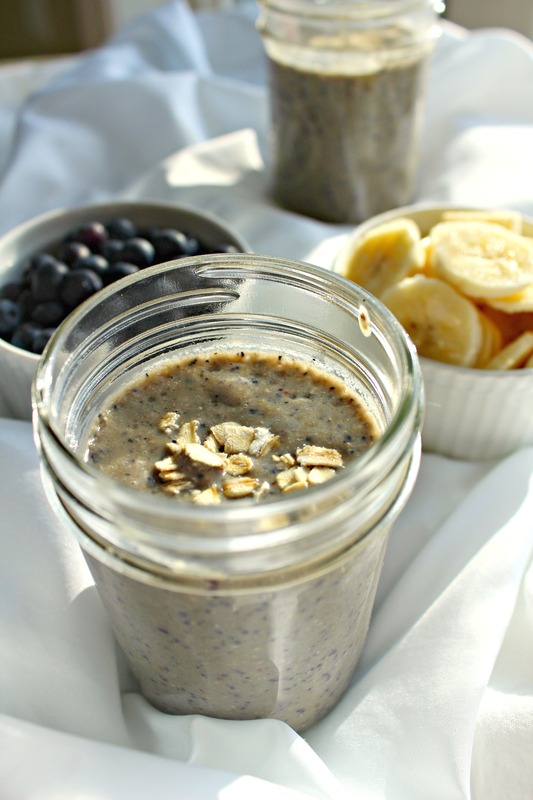 I even add some oats for a little bit of bulk so that the smoothie gives me more fiber and substance that keeps me full because some smoothies are wimpy and I am still hangry (yes, I used THAT word!) after them. I try to be the “healthy go-getter” type of person in the morning. I am usually an early riser so that I can give myself time to work a little bit, cook a little bit, do some house work and slowly get ready to go into the store in the morning. John (my man) is always telling me that by the time he gets up around 8:30 I have already done a whole day’s work, but I only way up about 90 minutes before him. Once I am up I am awake most of the time. I just cannot sleep in anymore. So that is why I love to have something like this blueberry banana smoothie in the morning, so that I can work and sip at the same time. Never lose time by sitting and eating although if he gets up early I love eating breakfast with him and spending time before we both separate for the day. 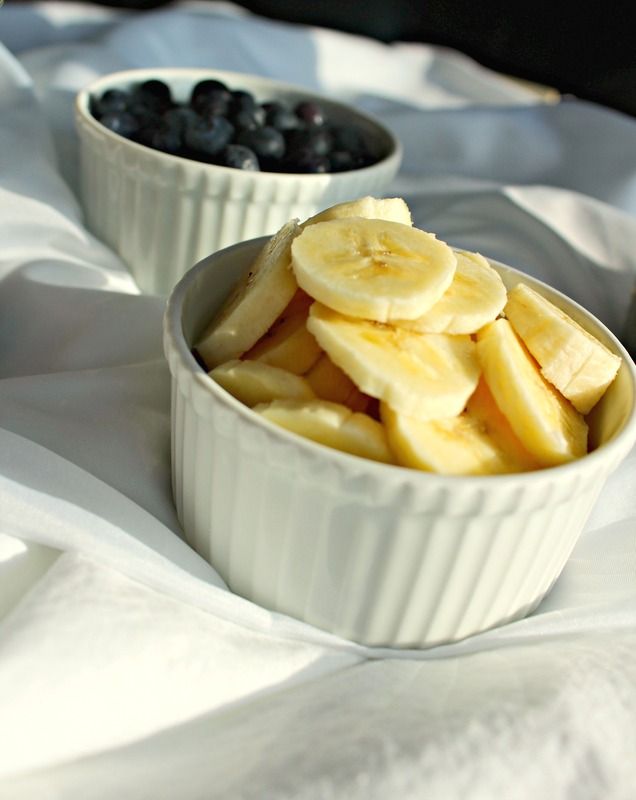 Place your fruit, milk, sugar and rolled oats into a blender. Whirl it around until smooth. Pour, sip,done. Perfect and easy to enjoy! 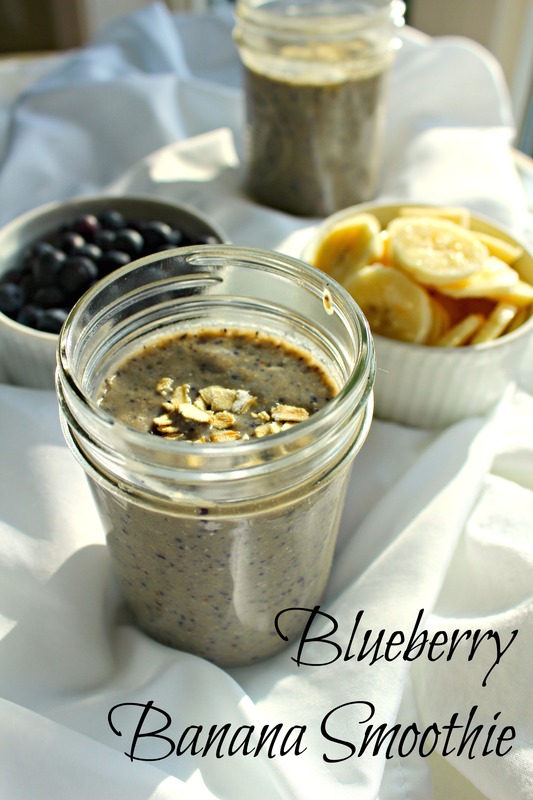 Such a great little smoothie and so much better than cereal or a couple pieces of toast. In fact if you wanted to have this beautiful smoothie with some toast I, for one, wouldn’t blame you. I need the chewing factor too. If I want to have a little more chunk I will stick my fruit in the freezer over night (slice banana first). Then in the morning i will take them out and put them right into the blender. This will keep the smoothie nice and cold without watering it down from the ice. This is so nice on a hot day after a workout or taking the dogs for a walk in the morning! Cool you down and feeds your hungry tummy. Yep, that is probably my favorite part. What is your favorite smoothie flavor? I think my all time favorite would have to either be banana and peanut butter, strawberry banana or chocolate peanut butter (for the days I am feeling bad). Although, this blueberry banana smoothie is pretty dang good too. Don’t forget to sign up for the weekly emails to receive kitchen tips straight from mine to yours as well as a sneak peak into the next posts too! It is always fun to see what I have next. Also you can follow me on Instagram, Pinterest, Twitter and like my page on Facebook. You can stay up to date on all posts and recipes!